Garrett Whitelock was set up by Ben Garrett and Lee Whitelock in 2012. We're passionate about property and we wanted to do things differently after becoming frustrated with the general lack of accountability, integrity and professionalism in the industry. As owner-managers, we really care about our business; providing a good service to our clients is at the centre of everything we do. We’re a local independent agency, specialising in residential property in SE1 and surrounding areas in Central London. When you appoint Garrett Whitelock, we guarantee to do everything possible to help you achieve a successful sale or let – and when it comes to property management, we promise to take active care of your most important asset. Put simply, we want you to be so happy with our service that you’ll tell all your friends about us! We think we offer a pretty unbeatable service, but don’t just take our word for it. Check out our many client testimonials, or better still, pop into our London Bridge office and find out for yourself. Our door is always open (9am-6:30pm Monday-Friday, 10am-4pm on Saturday), we have a coffee machine and a drinks fridge – and we may even be able to stretch to a piece of homemade cake! In our experience, Garrett Whitelock is by far the best agent in the area. We have rented and bought property with two larger agents in SE1 and found Garrett Whitelock to be much more proactive, straight-up and communicative. I would happily recommend them and wish them all the success they deserve. We specialise in residential sales, lettings and property management in SE1 and the surrounding areas. We are known and trusted in our patch and completely understand the nuances of the many sub-areas within it. Because we're extremely active in the area, when you appoint Garrett Whitelock you can be sure of accurate valuations and up-to-date market knowledge. In fact, your buyer or tenant is probably already registered with us. 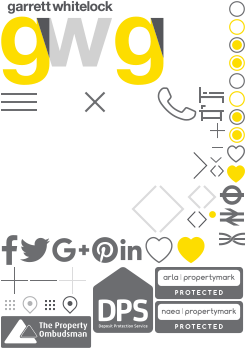 Garrett Whitelock is a local independent estate agent that does things differently by putting our customers are at the centre of everything we do. With a combined experience of over 50 years, we are members of all the main industry associations and abide by their strict codes of conduct in order to offer a secure, up-to-date and highly efficient service. It's our mission to give estate agents a better reputation, but don't just take our word for it, check out our latest customer reviews. We're a genuinely friendly bunch and enjoy what we do. It's our aim to find you a suitable buyer or tenant who is prepared to pay the optimum price for your property within your desired time frame - we also want them to have a positive experience.